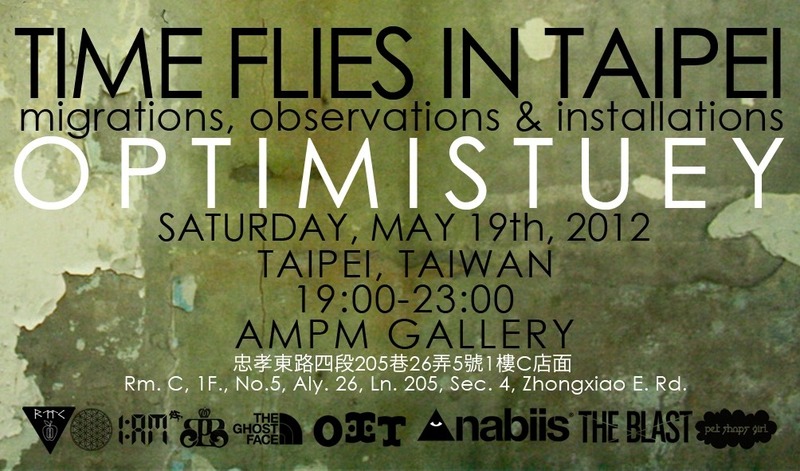 With “Time Flies in Taipei” featuring Optimist and Stuey, I realized 1AM in Asia was not as far away as I had thought. After seeing urban art shows, graffiti competitions (Wall Lords), and street art progress in Taipei over the years, I’m optimistic of 1AM finding a 2nd home in Taipei. Optimist has curated and created art for The Truck Show and participated in Nature’s Revenge at 1AM. He will be featured in our October show, “Reckoning“.